Kurds are the largest stateless people in the world. An estimated thirty-two million Kurds live in “Kurdistan,” which includes parts of Turkey, Iraq, Syria, and Iran—today’s “hot spots” in the Middle East. 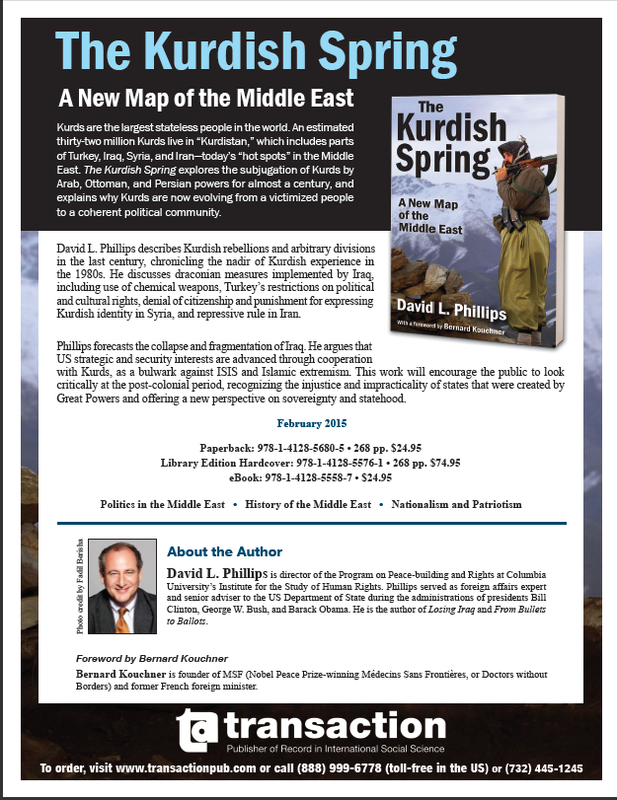 The Kurdish Spring explores the subjugation of Kurds by Arab, Ottoman, and Persian powers for almost a century, and explains why Kurds are now evolving from a victimized people to a coherent political community. David L. Phillips describes Kurdish rebellions and arbitrary divisions in the last century, chronicling the nadir of Kurdish experience in the 1980s. He discusses draconian measures implemented by Iraq, including use of chemical weapons, Turkey’s restrictions on political and cultural rights, denial of citizenship and punishment for expressing Kurdish identity in Syria, and repressive rule in Iran. 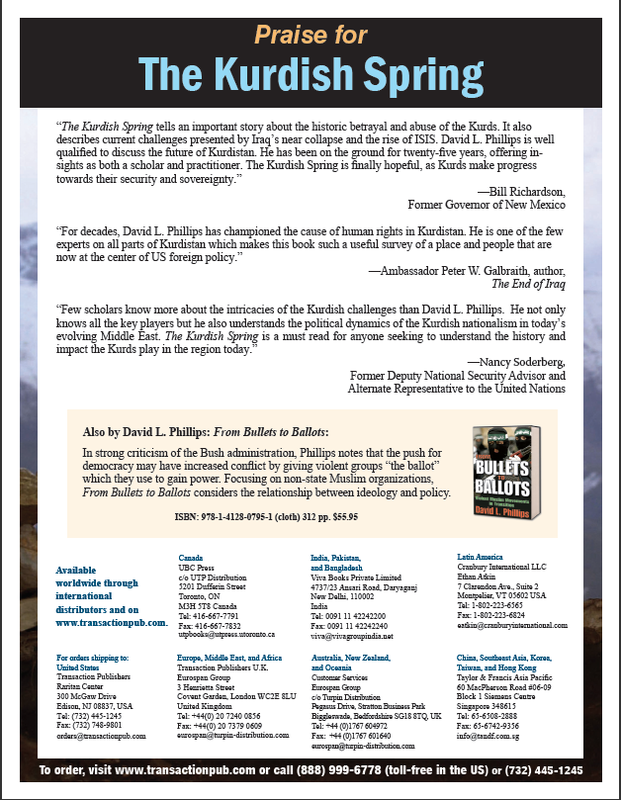 Phillips forecasts the collapse and fragmentation of Iraq. He argues that US strategic and security interests are advanced through cooperation with Kurds, as a bulwark against ISIS and Islamic extremism. This work will encourage the public to look critically at the post-colonial period, recognizing the injustice and impracticality of states that were created by Great Powers and offering a new perspective on sovereignty and statehood.